I recently spoke with Roger Ver, entrepreneur, bitcoin investor, bitcoin evangelist, and voluntaryist. If you thought we were just going to talk about bitcoin on this episode, think again. Roger Ver, nicknamed “Bitcoin Jesus” is a fascinating guy. Credited as the first person in the world to invest in bitcoin startups, he’s been the leading voice and catalyst in bitcoin ecosystem for years. Why? according to his website, Bitcoin is the most important invention in the history of the world since the internet. In part 1 of our two-part series, Roger and I discuss why people should care about bitcoin, a few companies that are accelerating mainstream bitcoin adoption and why bitcoin is a non-political means to freeing up the entire world’s economy. We take a quick foray into macroeconomic and government theory and then, for good measure, we’ll talk about George Washington, Vietnam and World War 2. In part 2 we picked things up right after Roger began to describe how and why he renounced his US citizenship. I asked Roger about the repercussions of his actions and beliefs, including his 9 month stint in federal prison. After discussing the justice system and unauthorized explosive sales, we reeled it back to bitcoin by digging into blockchain, fixed supply and some predictions for 2016. Whether you agree with his views or not- Roger is truly a person who has walked the walk. He's a pioneer and thinks completely for himself and lives by his own credo. Not something you see to often these days. I really enjoyed this conversation and hope you do as well. I learned a lot from my recent conversation with Ming Yeh. Ming is a long-time veteran of venture capital and is now co-founder and managing partner of CSC Upshot Ventures, the largest fund dedicated to financing seed-stage startups, ever. This launch was a big deal indeed. CSC Upshot is a $400MM venture fund created to invest primarily in US seed-stage technology startups via AngelList. It’s biggest LP is CSC Group, one of China’s 3 largest private equity firms, with $12B under management. Now that the words “$400MM” and “AngelList” have sunk in, lets dissect this a bit. Earlier this month, you learned about the Angel List’s Syndicates product in our interview with Dustin Dolginow of Maiden Lane. Today, we dig further into the massive opportunity. Some stats: as of October 2015 (when CSC Upshot was announced), AngelList Syndicates had helped over 650 companies raise $205MM from 4,400 individuals and Maiden Lane’s $25MM vehicle. Now, CSC Upshot joins the Syndicates ecosystem with a fund nearly double the size of all Syndicate activity to date. In this episode Ming and I talk about CSC Upshot, the need for more liquidity at the seed stage, the difference between Chinese and US entrepreneurs, and whether we’re seeing the great unbundling of VC or just a natural evolution of the venture financing market. We recently welcomed Dustin Dolginow to Venture Studio. Dustin a co-founder of Maiden Lane Ventures, the first institutional venture fund built for AngelList Syndicates. Here’s an excerpt from Maiden Lane’s AngelList page: "Raising seed capital is unnecessarily complicated. Great angel investors have always helped founders cut through the noise. Maiden Lane's mission is to make partnering with world-class angels more impactful. To do that, we use capital and software to rethink the workflow of seed investing." Seems pretty logical, right? Maybe even a bit boring? Well, not really. Syndicates and funds like Maiden Lane have been called, progressive, disruptive, cute and fraudulent, and everything in between. Today, we’ll learn why. Dustin and I discuss the facts behind Syndicates, the massive opportunity for individual investors and founders that Syndicates presents, and the support, critiques and criticisms from others in the venture capital industry. We also talk more broadly about how thought leaders like like Chris Sacca, Brad Feld, Paul Graham and Mark Suster have approached innovation and unbundling in venture capital. This episode is just the first installment of our series on AngelList Syndicates. We'll soon catch up with Ming Yeh, Founder and Managing Partner of CSC UpShot Ventures, a $400 million venture fund formed to invest in startups on AngelList. You can find Dustin on AngelList (obviously) and on twitter and Medium under @dolginow. As of a few years ago and well before podcasts had become "a thing", I was doing video interviews of entrepreneurs and investors regularly on my show- Venture Studio. A confluence of factors led me to put the show on hold for a while, not the least of which was the unexpected and deeply painful loss of my father. I have my own family with young kids and have also been looking after my mom, who has had a tough time adjusting after 50+ years of marriage to her best friend. Recently though, I noticed that podcasts had really gone mainstream with the advent of bluetooth-enabled cars, ease of production, new podcast apps with great UX (such as Overcast), and talented media people switching to "podcast first" (such as Bill Simmons and the Gimlet Media team). I started thinking about reprising the show as a podcast with more of a focus on investors. With the encouragement of a terrific former student of mine- Kevin Weeks, Venture Studio rose from the ashes a couple of months ago in its new incarnation as a podcast. It's been incredibly gratifying to experience the support and encouragement from so many of you and I'm happy to say that with just 15 episodes in, the growth of the show on this medium has been just terrific. Kevin is crushing it as the producer of the show and I'm able to concentrate on what I love doing- interviewing the talented and thoughtful guests that comprise the investment community of New York City and beyond. So I just want to thank everyone who has subscribed and is listening for the support. I also want to thank the incredible guests who bring such rich insights to the conversation. So huge thanks to @davetisch @benlerer @mattcharris @jeff @bopeabody @john_frankel @amol @alexiskold @joannewilson @stephpalmeri @mikeyavo and @cshapiro . If for some reason you haven't checked it out as of yet or know of a friend who would enjoy our show please share this link with him or her and/or subscribe here. I'm really looking forward to taking things to the next level in 2016. I hope you can join the community. I recently had @thegothamgal, (Joanne Wilson), on my podcast. She's a true original- one of a kind- just special. She's also a prolific angel investor in New York, (85 companies and counting), and a major supporter of the city’s startup ecosystem. Joanne began angel investing in New York after careers in retail, wholesale, media, non-profit, education and real estate. Very few investors can match the deep understanding of "the customer" she brings to the teams she decides to back. I learned a ton from our conversation. Joanne blogs regularly at gothamgal.com and you can find her on twitter @thegothamgal. She is an outspoken supporter of women entrepreneurs and the co-founder of Women Entrepreneurs Festival. I hope you enjoy and learn as much as I did. In a recent episode of my show, Venture Studio, I spoke with one of the most fascinating people in the New York technology/entreprenurial community, Amol Sarva, on a wide range of topics. We spoke about his life not just as a company builder, (for which he is widely known), but also about his approach to angel investing. He's in 38+ companies already and it was fascinating to learn of his philosophy and approach. At one juncture Amol, (who has a Phd in philosophy from Stanford), refers to an ancient parable attributed to Archilocus, which philosopher Isaiah Berlin wrote an essay about in 1953. The fragment read, "a fox knows many things, but a hedgehog knows one important thing". Amol realized close to a decade ago that he identified with the fox, even though everything in his upbringing and education had trained him to be a hedgehog. This realization has led to an immense creative and productive period in his life in which he's co-founded several startups such as Halo Neuroscience (backed by Andreessen Horowitz and others), Knotable, BEMAVEN and Knotel, constructed a building in Long Island City known as East of East and invested in 38+ companies. Of course this is alongside his family life as a husband and father. Prior to all this he co-founded Virgin Mobile USA which went public on the NASDAQ and Peek (which pioneered the mass-market smartphone), which he sold to a large Indian conglomerate. He studied cognitive science for his Ph.D. at Stanford with an undergraduate degree from Columbia University. 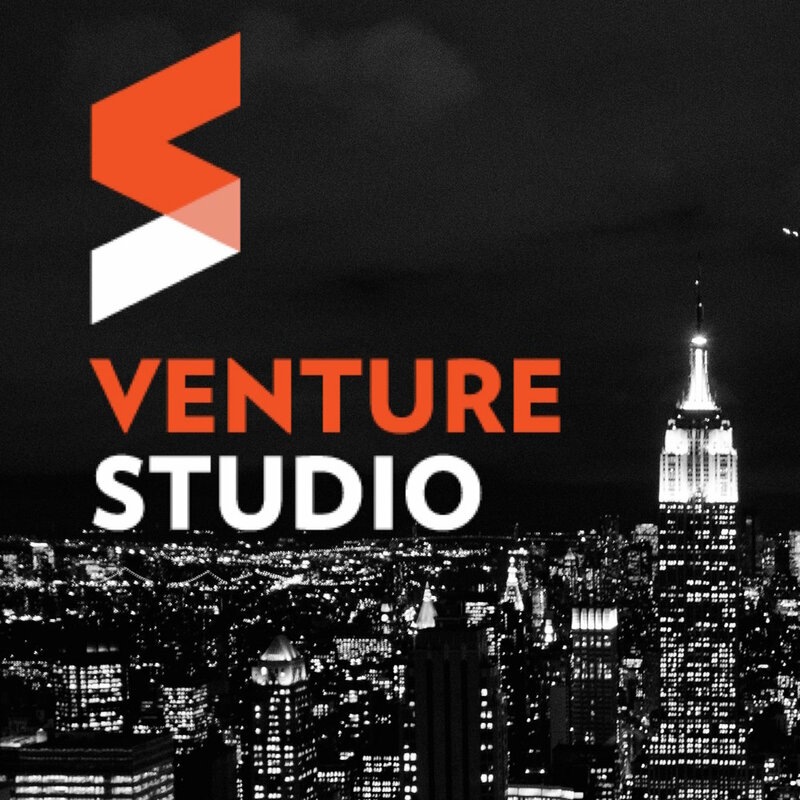 Friends- if you're interested in the venture capital and angel investing scene in NYC, subscribe to my podcast via iTunes: https://itun.es/i6S78vQ and/or listen to us on SoundCloud: https://soundcloud.com/venture-studio . For regular updates, follow us via twitter: @venturestudio My show has been around since 2011 but is now available in podcast format so you can listen while you walk, jog, drive, train, or rest on a couch. It will also come with a short summary of the venture deals in NYC so you can stay abreast of everything easily. There are a few vintage episodes up already with the likes of Matt Harris from Bain Capital Ventures, Jeff Clavier of Softtech Ventures, Bo Peabody of Greycroft Ventures, Dave Tisch of Box Group and Ben Lerer of Lerer Hippeau Ventures. Enjoy and please email me some feedback once you've signed up!